Ok, I have read all through the posts and I don't see any cases like mine, of course, we always have the rare problems. Anyway we bought our house last year and there is an above ground pool and the liner that was on it when we moved in was in really bad shape (duct taped and all). We are now taking on the job of replacing the liner ourselves. We measured the pool and it measures 23'10" x 48" and knowing 21 feet or 24 feet are standard we purchased the 24 foot liner that will fit 48"-54". This is for an over lap liner for an above ground pool. I should mention this is our first time installing a liner so we watched some videos on you tube and found a really good one and followed it exactly. After over lapping the liner all around the pool when we arrive where we start we have about 2 feet extra liner!?! So it's like the liner is 26' in diameter although the bottom seam fits the bottom of our pool exactly. Are we doing something wrong? Is there a way to fix this? We haven't started filling because we can't even put the coping strips back on the way it is all wrinkly. We have tried to do it 5 times and of course we always still have about 2 feet left. The last time we did it we tried to bunch the liner up in different areas to try and spread it out but now we have creases all over the place. Could it be that the pool being 2 inches off is causing this? the pools. Like you say, the bottom was fine, but the side were a mess. And there was nothing we could do. The challenge was distributing the slack evenly all the way around the pool. This allowed the coping strips to installed and kept the wrinkles to a minimum. There were times when it took multiple cloths pins, and multiple hands, to keep the coping in place long enough to get the metal rods on. Frustrating, yes. Especially since we were pros, and our customers were not happy. It was hard to explain that it was not our fault, too much liner is too much liner, you can't make it disappear. This may be your problem, if so, I totally sympathies. There is just not much you can do. You need to install the liner, and at least get a few years out of it, because of the cost. Once unpacked you can't return it, unless you complain loud enough, which is an option. One you might consider. First thing I would do is remeasure the pool. Do it in several places. 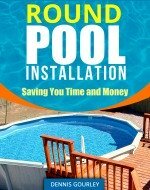 Pools are not always round so you want to make sure it is a 24'. 23' 10" should be close enough to a 24' pool, since none are exactly 24', that would be good for me. To install it, go back and make the up and down wrinkles as small as possible. Bunch the liner up the whole way around, that will minimize the wrinkles and allow you to install the coping. I stretch my liners into place, so once the bottom is full of water, I pull the sides up straight. That way you know where to bunch the liner, the key is to keep all the wrinkles straight up and down. When you do this you have done all you can for that particular liner. Would another liner from the same company fit different? Probably not. Every liner from that year will probably fit the same. If it that bad, and you have remeasured your pool, complain. See it that gets you anywhere.